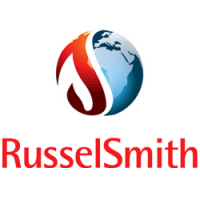 RusselSmith Currently Recruit for the positions of suitable and qualified individuals for the positions of Group Billing & Credit Officers. We believe that without having the right people, excellent processes and investments in technology mean nothing. Bright, passionate, energetic people have therefore been the reason for our continued growth over the years. We are continually on the lookout for go-getters to join our ever-growing team of multi-talented people. If you love what you do, if you want to make a difference in the world through your work, if you want an enabling and challenging environment in which to learn and grow, then RusselSmith is the right place for you. Preparation of bids and ensures conformity to tender requirements. Responsible for compiling data for preparing estimates; examining performance requirements, delivery schedules, estimates cost of materials, equipment, and production to ensure completeness and accuracy. Develops and updates pricing spreadsheet models and pricing charts. Drafting required documents to accomplish proper contract administration, and answering Management queries. Participates in bid selection, establishes evaluation criteria, and analyzes bids to determine company’s suitability and responsiveness and advice where otherwise. Supervises the following units’ processes - Sales Account Management, Departmental Administration, Strategy and Contract Management. Maintains conformed copies of tender documentation within organizational responsibility. Advises relevant departments on documentation for company projects as per contractual obligations. Works closely with the respective departments to implement and ensure the fulfillment of contracts needs. Assists in providing business advice and guidance to others on contracting work and prepare correspondence that supports contractual actions and recommendations. Review project plans to assure performance is measured against plans. Collate and compute weekly, monthly, quarterly and annual data on contracts quotes and actual spend. Prepares monthly status reports, summaries and other correspondence. Bid Preparation, Submission and Reporting- Liaising between the company and NIPEX, Client or other relevant bodies on project bids, applications and tender in the upstream sector of the industry. Ensure that all proposals/applications submitted to NIPEX, Client or other relevant bodies are in compliance with statutory requirements and are submitted as at when due to the relevant agencies. Responds to the needs of the customer in an official request for proposal (RFP). Analyzes potential benefits and drawbacks of each bid. Responds within 24 to 48hours to all request for quotes (RFQ) and request for proposal (RFP) enquiries. Prepares and monitor the process of necessary bid tenders documentations. Direct and coordinate activities of personnel engaged in contract process. Communicates the bid documentations to respective departments or persons either via telephone or electronic or in person. Contract Development- Develops contracts, ensuring that it satisfies legal requirements, align with company objectives and reflect the terms proposed by the customer and company. Understands the company’s policies and procedures, interests and strategic planning as well as laws and rules governing contracts. Contract Management- For existing contract, collects, organizes and files documentation for contracts. This includes documents that show how the contractor performs and complies with a contract. Conduct audits of contracts. Ensuring full compliance with stipulated terms. Under the supervision of management ensure that set tasks contributes to the organization achievement of its strategic goals. Provides specialist advice and guidance on contracting and related issues. Analyze market and delivery systems to assess present and future project personnel availability. Develop and implement contract management instructions, policies, and procedures. Review, evaluate, specifications for issued and awarded bids. Represent companies in negotiating contracts and formulating policies in regards to contract management. Prepare documentations for bids awarded. Communicates with customers- Communicates with people outside the organization, representing the company to customers and other external agencies where necessary. Establishing and Maintaining Interpersonal Relationships - Developing and maintaining constructive and cooperative working relationships with customers. Monitors request for proposals and request for quotes and prepares necessary documentation for submission. Manages and ensures adherence of company’s price quotes to RFQ. Coordinates the preparation of contracts and contract amendments and ensures compliance with legislation. Monitors contract progress and compliance, change orders and reviews. Prepares monthly status reports, summaries and other correspondence.